Producing a truly distinct image quality, the 6.5mm f/2 Circular Fisheye Lens from Opteka is a Sony E-mount lens providing a 9.75mm equivalent focal length. Its fisheye design realizes an impressive 190° angle of view along with a unique circular image shape and strong distortion for a surreal quality. One super-low dispersion element is featured in the optical design, and helps to minimize color fringing and chromatic aberrations in order to realize high clarity and color accuracy. An HD anti-reflection coating has also been applied to suppress flare and ghosting for greater contrast in bright lighting. This 6.5mm f/2 lens is designed for APS-C-format Sony E-mount mirrorless cameras and provides a 9.75mm equivalent focal length. 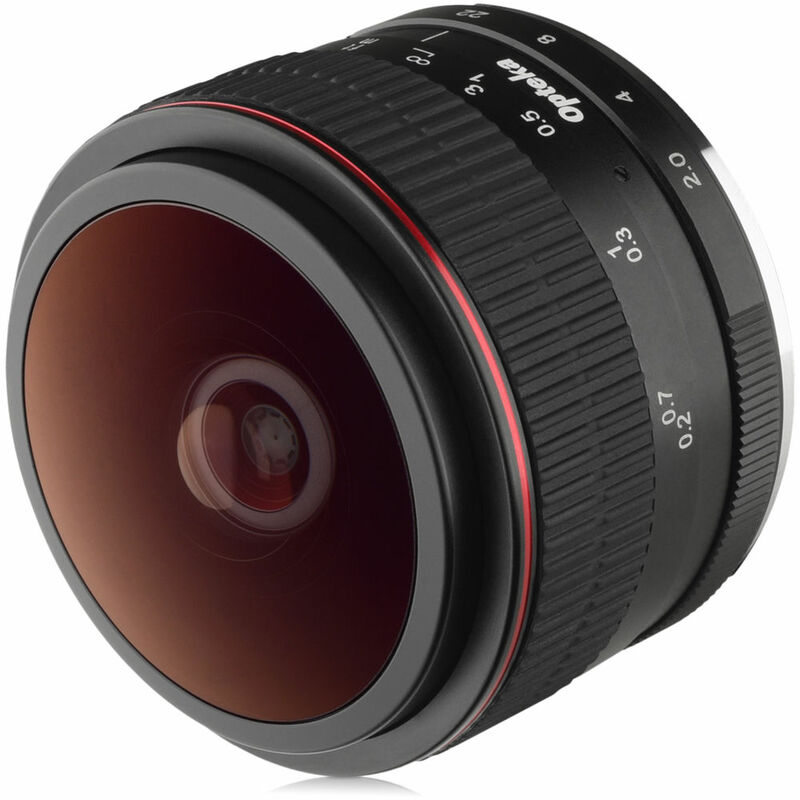 Distinct fisheye design produces a circular image with a 190° angle of view and strong visual distortion. One super-low dispersion element is used to reduce chromatic aberrations and color fringing for increased clarity and color accuracy. An HD anti-reflection coating has been applied in order to suppress ghosting and flare for increased contrast and color fidelity when working in strong lighting conditions. Nine-blade diaphragm produces an 18-point star effect when photographing point light sources. All-metal construction is durable and a focus distance scale has been engraved on the lens barrel for pre-focusing needs. Box Dimensions (LxWxH) 3.7 x 3.6 x 3.2"
6.5mm f/2 Circular Fisheye Lens for Sony E is rated 2.0 out of 5 by 2.